We love our electronic beauty gadgets, especially when we get one as a gift, but we only want the ones that are really effective. Who wants to waste time and money on a beauty devices that don't do much for the skin? Let's talk about four great beauty tools that really make your skin cleaner, clearer, smoother and younger looking, the NuFACE Trinity, the Tria SmoothBeauty Laser, the Emjoi Micro Pedi Callous Remover and the Foreo Luna Anti-aging and Skin Cleansing Brushes. These devices don't go on sale often but this is the time of year to maybe find a deal on Amazon. NuFACE Trinity is a device that uses a low level electrical current called microcurrent to stimulate facial muscles and stimulate production of collagen and elastin in the skin. It has three attachments the Facial Trainer which is the ball attachment included with the toning device, the ELE attachment for the lips and eyes and the Wrinkle Reducer attachment are sold separately. It's safe, comfortable and FDA approved. Microcurrent passively stimulates the muscles. You do not feel a shock or muscle contraction, but you may feel a tingling feeling. Some people say that they experience a metal taste in their mouth during use. You can adjust the intensity level for your comfort. My clients who have used this device have seen a nice improvement in the firmness of their skin. It's a bit pricey, but most people who use it see an improvement in their skin. 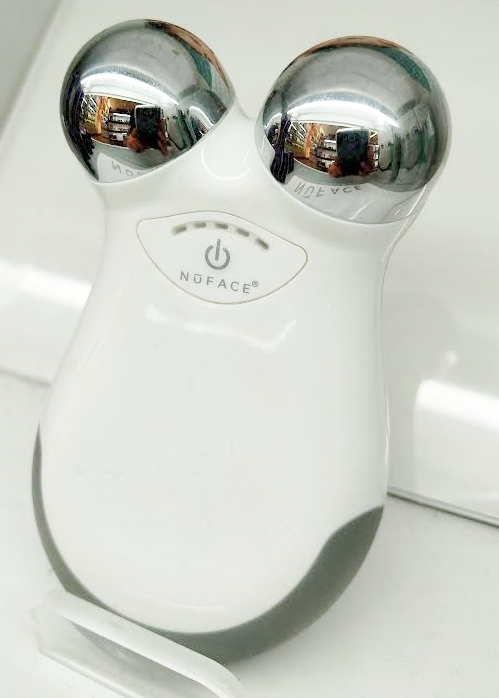 The NuFace Trinity Facial Toning Device is $325.00. The ELE Attachment and the Wrinkle Reducer sell for $149.00 each. The Mini sells for $199.00. You can purchase the NuFACE Trinity or Mini on their site, at Ulta, Sephora, Macy's or on Amazon. 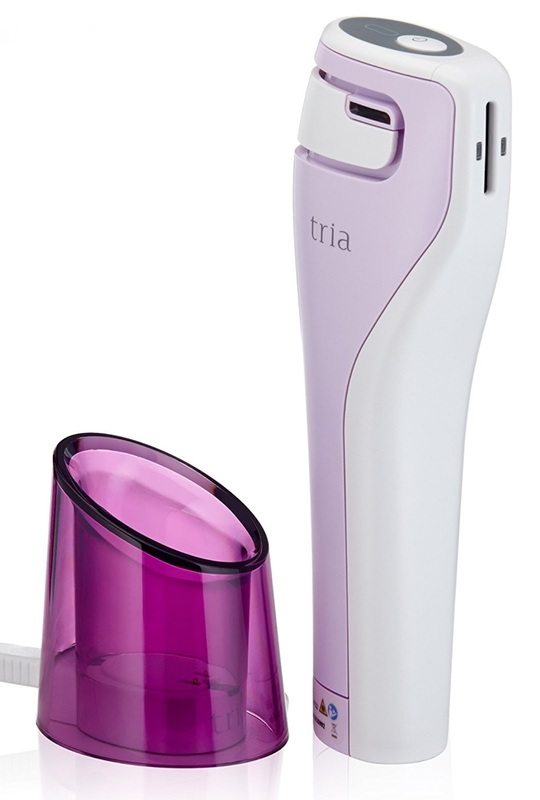 The Tria SmoothBeauty Laser is a laser you can use on yourself at home. It reduces fine lines and wrinkles by stimulating collagen production with beams of light. The light causes injury to the skin below the surface without disturbing the surface of the skin. The skin heals the damaged tissue increasing collagen production. The Tria uses the same technology as professional fractional non ablative laser treatments done in doctor's offices and Med Spas. It's a pricey device but is tremendously less expensive than laser treatments done in a doctors office or med spa. It is FDA approved for use on the face and on all skin colors. It has three safety features built into it making it very safe to use at home. It beeps to let you know it's time to move to a different area, it has an automatic shut off when the process is complete and it will shut off if improper contact is being made with the skin. There is also a locking feature that can be enabled when the device is not in use. Use the laser 5 days a week for a 12 week treatment period all over your face including the under eye area. Start another 12 week treatment when you feel your skin needs it. The Tria gives the option of 3 strengths. Start on the lowest level 1 training level strength and let your skin adjust to it, try level 2 then level 3 according to your comfort level. Use your Tria at night so any redness fades away by morning. Use a sunscreen with a 30 SPF or higher during the day to protect the skin from sun damage. Check with your doctor if you get other cosmetic treatments on your skin including peels, injectable fillers or laser resurfacing. Do not use if you are pregnant, under 18, have any significant skin conditions or medical conditions. Do not use the laser on tattoos or permanent makeup or on skin that is burned, cut or infected. Cleanse your face well removing all makeup and sunscreen then pat dry. Apply the laser flat on your skin and glide over your face section by section as directed. The face is divided into 4 zones. Each zone is treated until the device beeps. A fellow esthetician friend of mine, who actually has been trained to use lasers in a dermatologist's office, uses this Tria home laser on herself and has had nice skin firming results. Her skin really looks amazing! She found she needs to use the laser on the lowest setting on her sensitive skin most of the time. She started on the lowest setting and worked her way up to the highest setting during the 12 week treatment but had too much stinging, sensitivity and lingering redness. 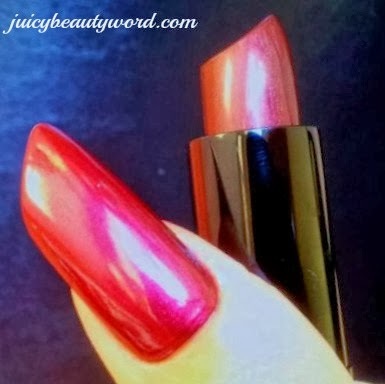 She sticks to the lowest and middle setting and still has great results. 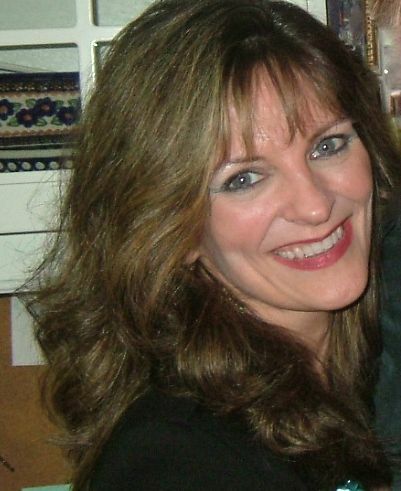 I find her skin is noticeable firmer and the expression lines on her face are barely visible after her treatments. Many people say this laser has help their pigmentation spots fade away. My friend doesn't have pigmentation spots so I can't attest to that. You can purchase the Tria SmoothBeauty Laser on the Triabeauty.com, ulta.com and Amazon. 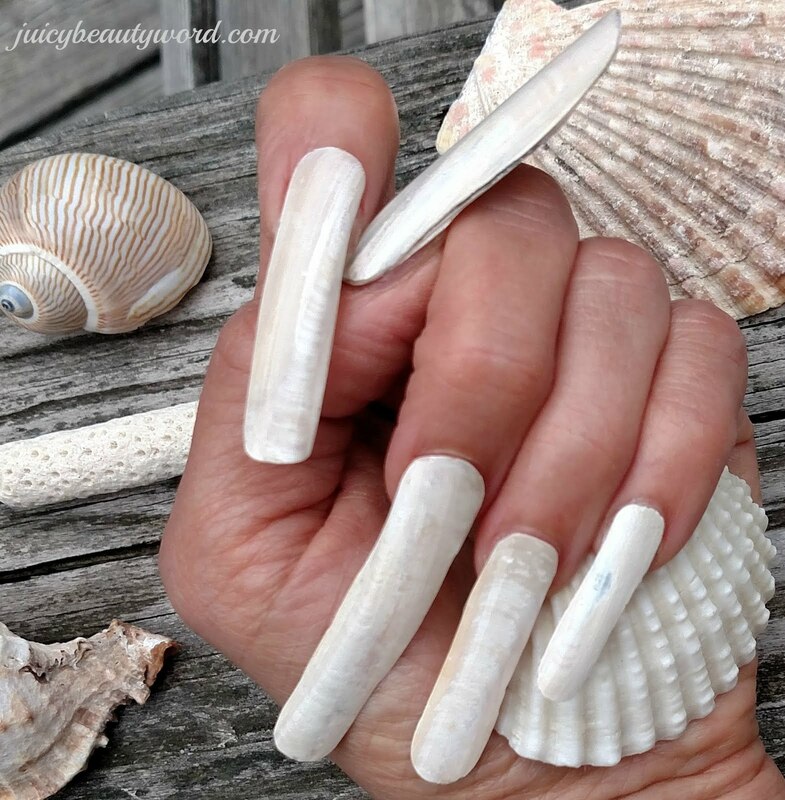 The Emjoi Micro-Pedi Callous Removers use special rollers that are made with micro mineral particles to remove foot callous by"pulverizing" hard calloused skin. The rollers come in extra course, super coarse, Xtreme course and extra gentle to accommodate your callous removing needs and your foot sensitivity. The rollers wear out and need to be replaced after a few uses. The rollers cost $9.95 for set of 2 rollers. These clever devices spin to remove callouses and leave your feet feeling amazingly smooth without the time and effort of a traditional foot file. Plus, they are just plain fun to use! Use it once or twice a week as needed. The Emjoi in the above picture is the Nano and it came with 2 blue extra course rollers and a purple extreme coarse flex roller, 2 cone rollers, a manicure kit, a cleaning brush and a travel pouch. Emjoi makes a variety of models, Nano, Corded Nano, Classic, Power, Tornado, Man and Pro. The manicure kit is sold separately and includes a buffing tool, a shaping tool, an emery tool, a fine shaping tool and a cuticle pusher. It fits all Emjoi models and is $19.95. You can purchase Emjoi Callous Removers on emjoi.com, QVC, Target and Amazon. 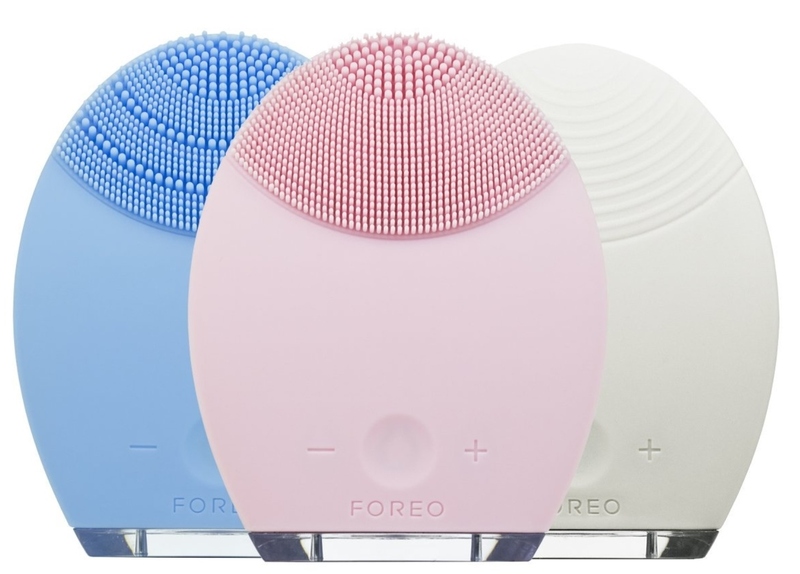 Foreo Luna is a Swedish designed sonic facial cleansing brush designed to gently exfoliate the skin, unclogged the pores and reduce the signs of aging. The cleansing brush is silicone and does not require replacement brushes like the Clarisonic. That saves lots of money! The silicone bristles are non abrasive and effective at cleansing the skin. Plus, silicone resists bacteria growth making a healthier choice than the classic facial brushes. The Luna T-Sonic technology gives you transdermal sonic pulsations to gently deep clean your skin. Some models offer anti-aging lower frequency pulsations help to stimulate and smooth lined and wrinkled area of the skin. They are all waterproof and rechargeable with the exception of the Play & Play Plus which are not rechargeable. They uses AAA batteries. There are variety of Luna styles to choose from. Let's talk about The Luna, The Luna Mini, The Luna 2, The Luna 2 Mini and The Luna Go. This brush offers cleansing and anti-aging. Luna for Ultra Sensitive Skin (it's white). The Luna provides 8,000 T-sonic, transdermal sonic, pulsations per minute to clean and exfoliate your skin plus it has 8 speeds. A full charge lasts up to 450 uses. It has the lower frequency anti-aging mode. One side of the device has the cleansing bristles. The other anti aging side has ridges. Each one sells for $169.00. This brush offers cleansing only. The Luna Mini is a ergonomic palm sized 3 zoned cleansing brush for all skin types. 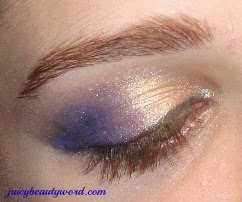 It comes in 5 colors cool grey, magenta, petal pink, purple and turquoise blue for all skin types. The mini provides 8,000 T-sonic, transdermal sonic, pulsations per minute to clean and exfoliate your skin. It has two speeds and a full charge lasts up to 300 uses. Each mini sells for $99.00. This brush offers cleansing and anti aging. The Luna 2 provides 8,000 T-sonic, transdermal sonic, pulsations per minute at twice the power to give you deeper cleaning of the skin and has 12 intensities. The brush head is bigger with longer bristles and that feel softer than the Luna's bristles. Each one sells for $199.00. 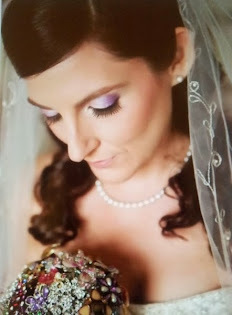 It comes in 6 colors for any skin type, aquamarine, fuchsia, midnight, pink pearl, sunflower yellow and mint. It has brush has 3 different bristles and 8 intensities. A full charge lasts up to 300 uses. Luna go for Sensitive Skin (it's purple). The Luna Go is the perfect travel size cleansing brush. It's tiny. 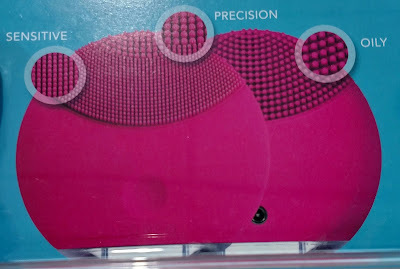 No bigger than cotton pad and still provides 8,000 T-sonic, transdermal sonic, pulsations per minute! It has both the cleansing mode and the lower frequency anti-aging mode. One side of the device has the cleansing bristles. The other anti aging side has ridges. You get up to 30 uses per charge. Each one sells for $99.00. Use the bristle side in circular motions over the surface of your face for 1 minute. Use the Minis for 2 minutes. Rinse your skin & pat dry. 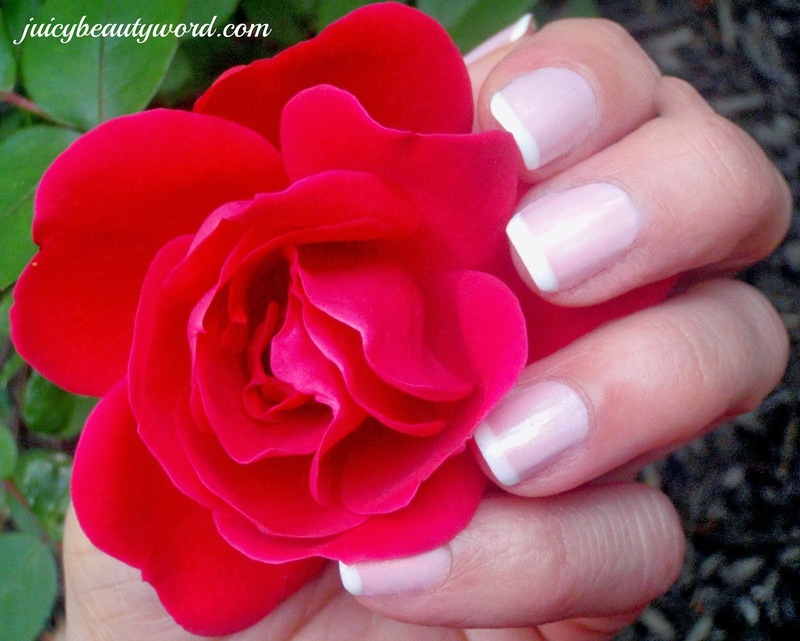 Apply toner, an anti-aging serum if desired & moisturizer. Activate the Anti-Aging Mode and press the anti-aging side into wrinkle prone areas for 1 minute. Wash the Luna with soap and water then pat it dry. Foreo has 2 facial cleansers designed to use with the brush, one for day and one for night. The morning cleanser contains probiotic yogurt, bergamot, mandarin and apricot seed extract. The night cleanser contains meteorite powder, moringa seed extract and almond extract. They are sold together for $49.50 on the Foreo site. The brush is gentle and gets the skin super clean. Choose your brush according to your skin type. Those with sensitive skin should choose models specifically for sensitive skin. I recommend The Luna for Ultra Sensitive Skin (it's white), The Luna 2 for Sensitive Skin (it's purple) or the Luna Go for Sensitive Skin (it's purple). 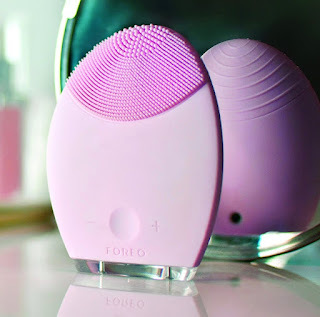 You can purchase Foreo Luna Cleansing Brushes on the foreo.com, Ulta and Amazon. Happy Shopping & Gift Giving!